Sea Fresh® All Natural CoQ10 Tooth Gel features blue green algae (aphanizomenon flos-aquae), rich in calcium, proteins and antioxidants, to naturally strengthen your teeth and gums and potent spearmint and parsley extracts to keep your breath fresh and clean. Naturally derived fluoride helps prevent tooth decay, while CoQ10 and natural aloe vera gel soothe irritated gums. 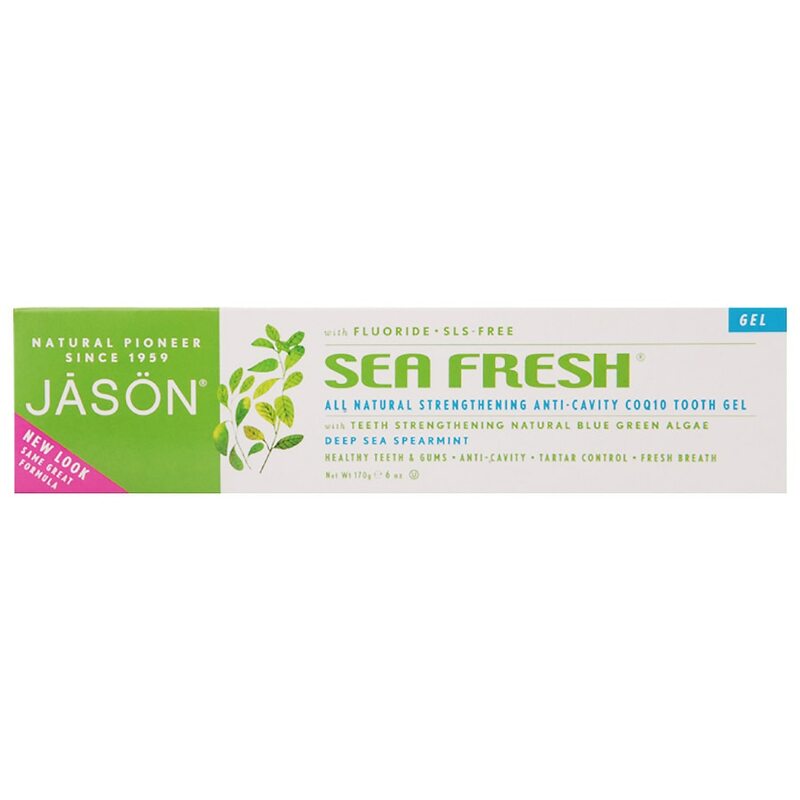 For a strong smile and fresh breath, use Jason® Sea Fresh® toothpaste and mouthwash twice a day. Since in 1959, Jason® has delivered safe, wholesome, no-nonsense, natural products that really work. Our formulas don't contain petrolatum, sodium lauryl or laureth sulfates, parabens, or phthalates. And we never test our formulas on animals. Adults and children 2 years of age and older: Brush teeth thoroughly, preferably after each meal or at least twice a day, or as directed by a dentist or physician. Instruct children under 6 years of age in good brushing and rinsing habits (to minimize swallowing). Supervise children as necessary until capable of using without supervision. Children under 6: Use a pea size amount. Children under 2: Ask a dentist or physician. Avoid storing at high temperatures (greater than 100°F). Protect from freezing.